This article is cross-posted from Fortune. Read the published article here. With all eyes on President Trump’s first state visit to the Middle Kingdom, the most salient recent development for the global business community may come from the Chinese Communist Party’s Congress. To be sure, Mr. Trump’s trip was chock full of deliverables and deals headlined by more than $250 billion in deals announced, but the Party Congress, a meeting held every five years among 2,000+ members of China’s all-powerful Communist Party, is critical for companies and individuals looking to expand their operations in the country to understand. Basilinna, a Laurel Strategies affiliate firm with deep expertise in China, recently released a report detailing the political and economic implications of the stemming from the Congress. The most important development, according to Basilinna is that President Xi Jinping has consolidated his control over the machinery of the Chinese government. The Party Congress approved the amendment of the official Communist Party Constitution to include “Xi Jinping Thought of Socialism with Chinese Characteristics in the New Era”, his vision for China’s future; Xi joins revered party legends Mao Zedong and Deng Xiaoping as the only leaders to have their official Thought enshrined in the Party’s Constitution while still in office. To go along with the tremendous symbolic import of this action, Xi’s ascension will have concrete policymaking consequences. 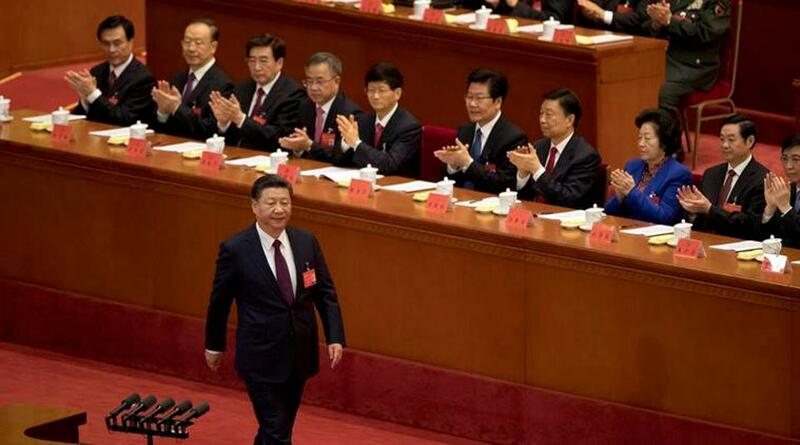 While the highest-level Communist Party decision making has recently been characterized by consensus building, Xi is now empowered to go it alone to some extent, or as one academic put it Xi will have a “larger individual role” in the consensus. Given the policy implications of this Party Congress, Basilinna expects Xi to be in a better position to push forward his ambitious economic reform agenda, which includes, as he elaborated on, more opening to foreign firms. Keep in mind, however, that this will be “reform with Chinese characteristics” and the state or Party will continue to play an important role in the economy. This is a long overdue move as China has not made a major economic reform in more than 10 years. And even when the market opens further, foreign companies are facing stiff competition from increasingly savvy Chinese companies. The composition of the Politburo Standing Committee, the highest authority in the land, lacks a potential successor. Xi defied recent precedent in selecting his supporting cast for the next five years. He appointed an inner circle of six men with extensive connections to him personally to help govern the country. Importantly, in doing so, Xi circumvented the tradition of following party ranks, instead promoting those most likely to support his ambitious agenda. Speculation is that Xi’s behavior signals that he intends to serve for more than the recent-standard two five-year terms as President. But such speculation is premature as Xi has disrupted many norms in his leadership tenure, and there appear to be emerging heirs apparent at the provincial and municipal levels. In addition to an affirmation of the current course on the “new normal” of higher quality, but slower, economic growth, President Xi announced the institutionalization of the anti-corruption campaign, improving relations between the central and provincial governments, and addressing corporate and provincial debt among his policy priorities. Importantly, Xi also highlighted pollution reduction as a major goal. In fact, he used the word “environment” in his speech even more times than “economic”.